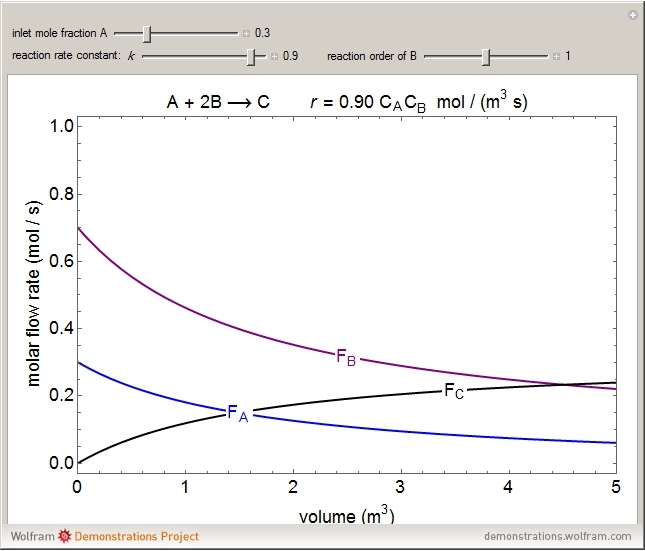 In this Demonstration, the liquid-phase reaction A + 2B ⟶ C takes place in an isothermal plug flow reactor. Only A and B enter the reactor, and the user inputs the mole fraction of A in the feed. The reaction is first order in the concentration of A, but the user inputs the reaction order with respect to B and the value of the rate constant. When the reaction order is changed, the units of the rate constant changes but not is numerical value. 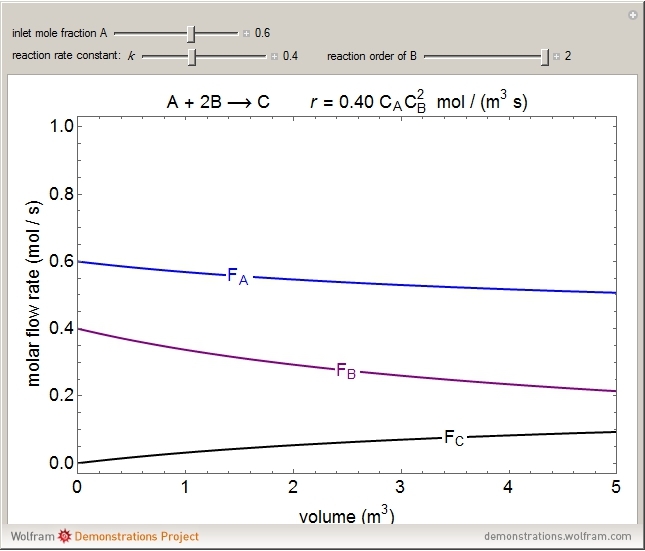 The molar flow rates of A, B, and C ( , , ) are plotted versus the cumulative reactor volume (the distance from the reactor inlet times the reactor cross-sectional area). where is the concentration of component , is rate of reaction, is the order of reaction with respect to component , and is the rate constant. 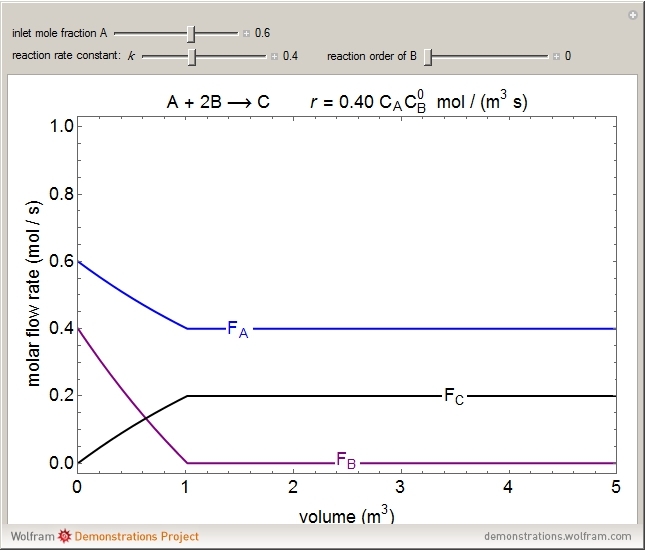 The molar flow rates are calculated as where for component , is the molar flow rate and is the concentration.